One of the hottest Christmas toys of 1979 was a lunar-inspired tank that taught rudimentary computer programming! 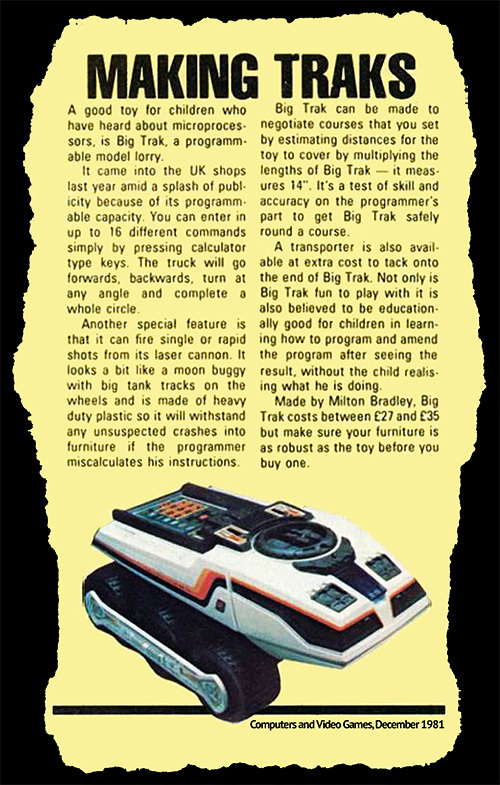 The Big Trak was innovative for its time, when “programmability” was cutting-edge in consumer electronics such as VCRs, calculators and even microwaves, and the personal computer revolution was invading small businesses, homes and schools. It was marketed as the toy of the future, the sort of thing children would play with on space stations or inside Moon colonies, and the public responded favourably, buying over two million of them priced at around US$40 (US$120 or AU$165 in 2018). Out: Dump optional trailer accessory. 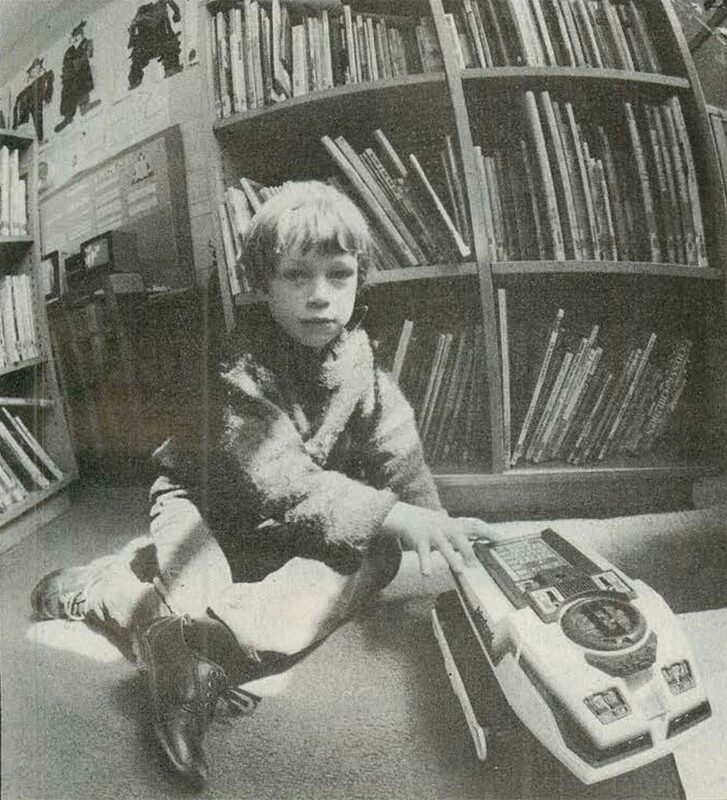 Not just a toy, the Big Trak also made it in the classroom, and the university! 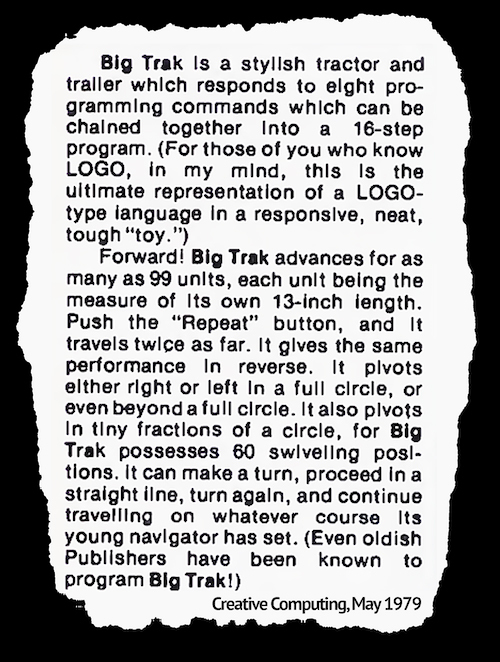 The press was impressed with the Big Trak, and it made frequent appearances in technology magazines from its launch in 1979 through to the mid-1980s. Writers hailed its ability to get kids (and adults) to engage with technology in a fun but educational way. 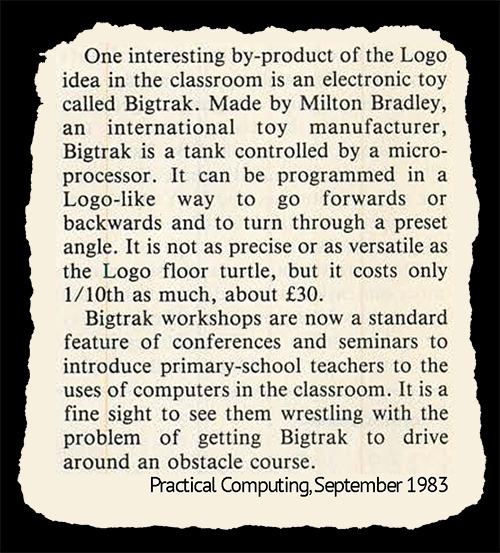 US$40 was much cheaper than the US$1195 an Apple II Plus cost, or even the US$595 for a Commodore PET 2001, and so educators also took a shining to the Big Trak, seeing it as a much more affordable alternative for teaching young children introductory computer programming. 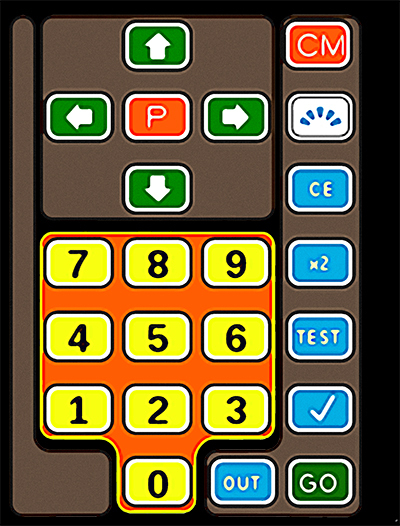 By laying out a simple obstacle course and tasking their pupils with convincing the Big Trak to navigate it, teachers could foster a basic understanding of programming in their students with relative ease, even before they were old enough to use an actual computer. 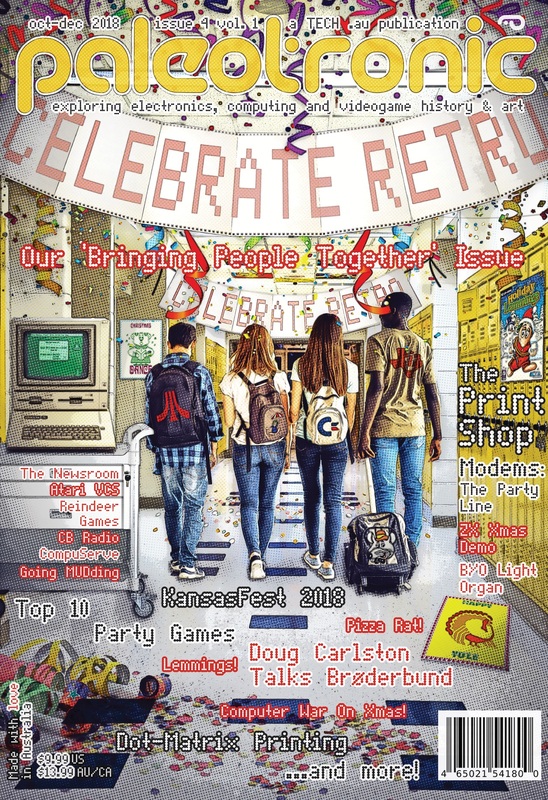 Students could then go on to learn the Logo programming language with a real-world reference in their minds, making the concept of the Logo turtle easier to grasp and the computer seem less foreign. A number of products in recent years have attempted to replicate the success of the BigTrak in education, but no one offering has caught on the way the BigTrak did. 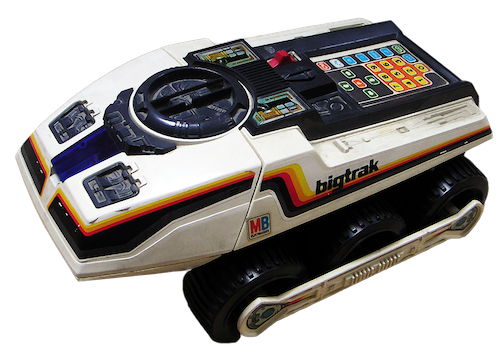 Happily the BigTrak has been reintroduced so today’s kids can have the same fun with it as 80s kids. 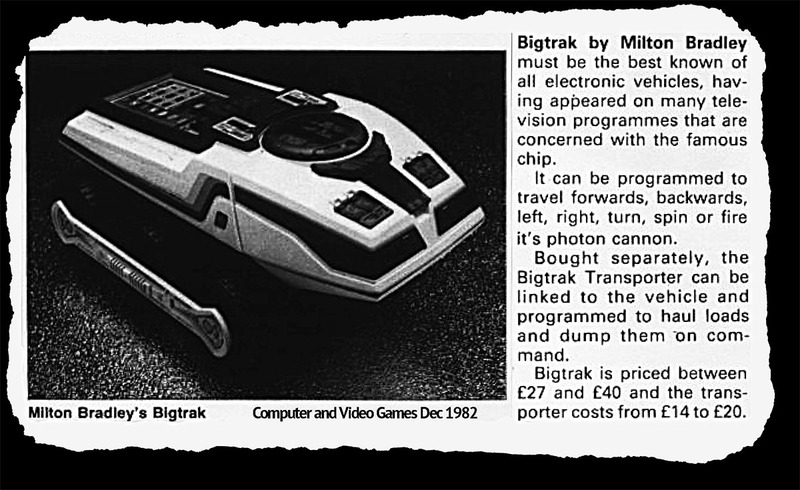 In 2010 the BigTrak was relaunched under license by Zeon Ltd. which has since released two additional models, the smaller BigTrak Jr. and the redesigned smartphone or computer-controlled BigTrak XTR.